Well we all know just how successful the Android platform has made HTC, before the firm adopted Android HTC wasn’t really known for their smartphones, but have become one of the leading handset manufacturers in the world since, but HTC wasn’t the first device maker for Android. According to an article over on Unwired View, a Wall Street Journal source says that LG rather than HTC was Android first option for the operating system, however LG decided to walk away halfway through 2007 leaving the field open to HTC. Thus HTC became the main handset maker for Android, and apparently just why LG decided to walk away from Android hasn’t been said, but one thing is for sure, I bet they wish they hadn’t now as stepping away from the mobile operating system has obviously not done LG any favours. 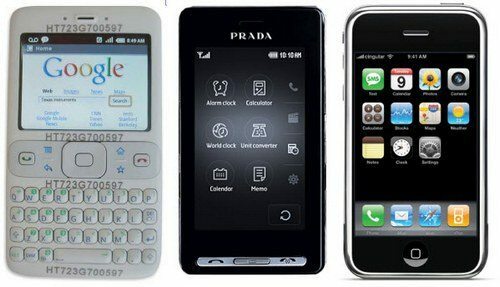 The guys do say though that back in 2007 LG was the only mobile firm that had a “very similar device” to the iPhone, yes that was the year Steve Jobs gave us the iOS phenomenon, and the LG handset was the LG Prada KE850. The guys further suggest that back then LG was under the assumption that “Apple store the LG Prada design,” for the iPhone, sounds just like something Apple is trying to pull today with Samsung doesn’t it? But that is all in the past, and we basically all know how Android has risen to become the main challenger to iOS, and how successful HTC has become on the back of Android, and let’s not forget the others who also are doing quite well since the adoption of the OS, Motorola and Samsung for starters. As for LG well their reign in the smartphone area seems to have somewhat dwindled over the years, and its not too often LG come up with a handset that sets the mobile space afire, perhaps if they hadn’t walked away from Android to begin with things may have been far different.